Charming Beach Bungalow On Palm Island. Great beach bungalow on Palm Island. Super fishing , boating and uncrowded beaches. Car ferry service ( fee ) delivers you to one of the best kept secrets in Florida. Awesome balcony views of both sunrise and the ICW. Short golf cart or walk to the beautiful, quiet beach loaded with shells and shark teeth. Bring your boat and your toys, this is a great spot. Kitchen is nicely equipped with all the necessities. Home is equipped with cable, internet and wi-fi. Come Explore all Palm Island has to offer. .
My husband and I honeymooned on Palm Island 23 years ago and fell in love with this beautifully secluded Florida treasure. We've since had 4 children and they've grown up with almost every summer spent out on the island. In 2012, we finally bought our own house and want to share it with you, so you can fall in love with the island as well! Uncrowded, unspoiled beach with great shelling, fishing and shark teeth finding. Spectacular sunsets. Sea turtle can be frequently spotted nesting their eggs. Beach towels available as well! Many board games, card games, coloring books and crayons. Paddle Board available. Kayak/Canoe Rentals close by. Back deck with fire pit plus an upper sun deck. relaxation at its finest in God's beautiful creation! Palm Island is absolutely beautiful and best of all, not as crowded as most FL beaches. This home was great for a romantic getaway, we found it nicely furnished and clean, with the expected amenities. Upstairs bedroom has an additional trundle bed if more space is needed. 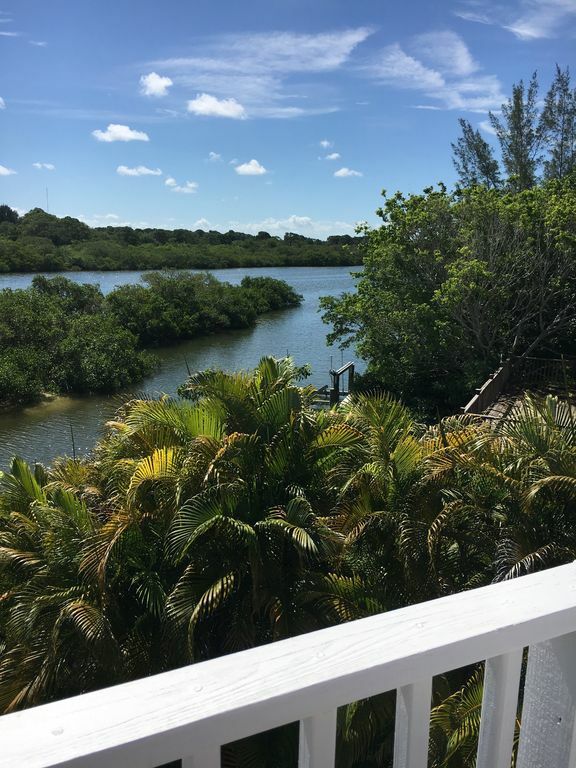 This is a very private location on the intercoastal waterway with a private dock and large porches (covered and uncovered) facing the intercoastal. The gulf beach is a short drive away. Owner was easy to work with and very quickly took care of the one minor issue. Many activities nearby off Island.